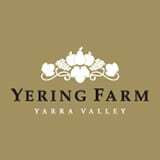 Yering Farm - Australian Wine Tour Co.
You want boutique? You’ve got it here at Yering Farm. Cute as a button and super friendly people. Also on our tour.